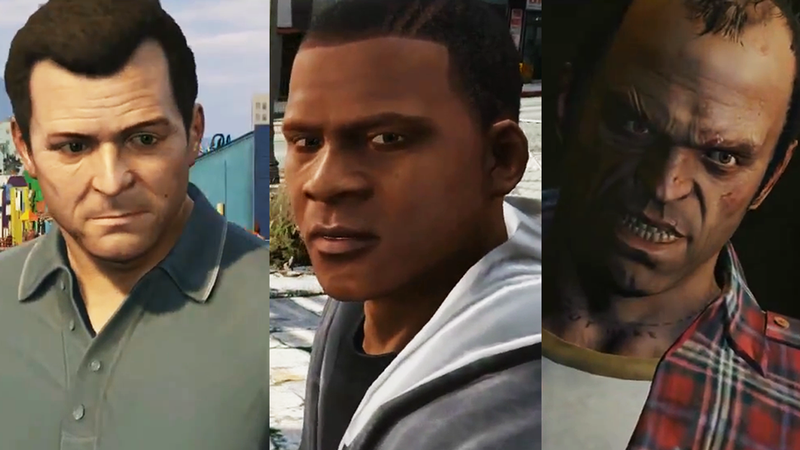 Rockstar released their triptych of trailers yesterday for Grand Theft Auto V's cast. Of course, it was a busy day yesterday. You may have been at work. You may have been enjoying a lovely April day. You may have been reading a review of Far Cry 3: Blood Dragon. Believe me, we understand. So in case you didn't have time to watch them, here they are summarized in Animated GIF form.